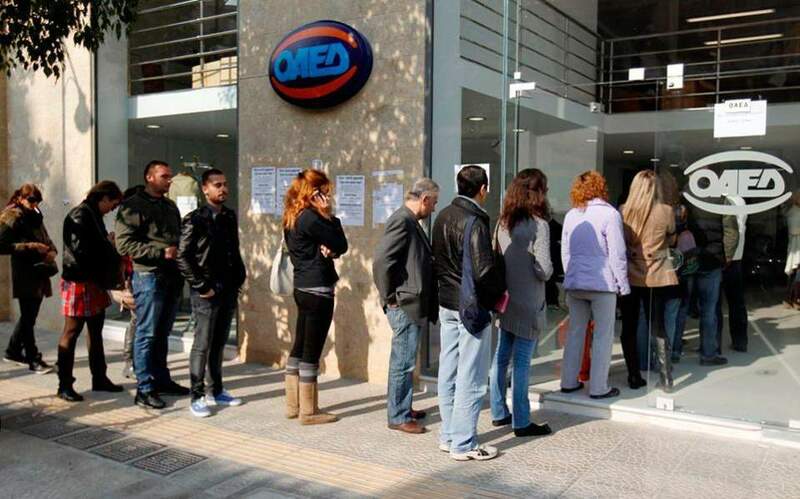 Greece’s jobless rate eased to 18.6 percent in September from 18.9 percent in the previous month, falling to its lowest level since July 2011, data from the country’s statistics service ELSTAT showed on Thursday. Seasonally adjusted data showed the number of unemployed at 887,009 people, with younger persons aged up to 24 bearing the brunt of being out of work. Among younger persons aged 15 to 24, the jobless rate fell to 36.6 percent from 40.5 percent in the same month in 2017. Greece’s jobless rate, which hit a record high of 27.8 percent in September 2013, has been coming down since but remains the highest in the euro zone. The government expects unemployment to fall to 18.4 percent this year and decline further to 18.2 percent in 2019 as the economy recovers, based on projections in its 2019 budget. Greece’s economy expanded for a ninth straight quarter in July-to-September and at a slower pace than the quarter before.